These projects are categorized as being medium in size, are identifiable, and have to be architecturally aligned with the company strategy and planning. The reasoning is that these projects are dependent on other computer systems and services. 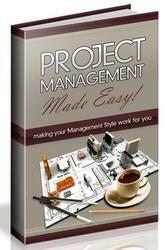 Projects falling within this category follow the standard project methodology. These projects cater to the following business needs: (1) Infrastructure, (2) Portfolio, and (3) Service Delivery. The implementation time of medium size projects often exceeds five months and is typically high profile. All the formal business analysis and project documentation is required throughout each project phase.